I wanted to float the idea of bumping DNS to a top level Menu Item in IdM. 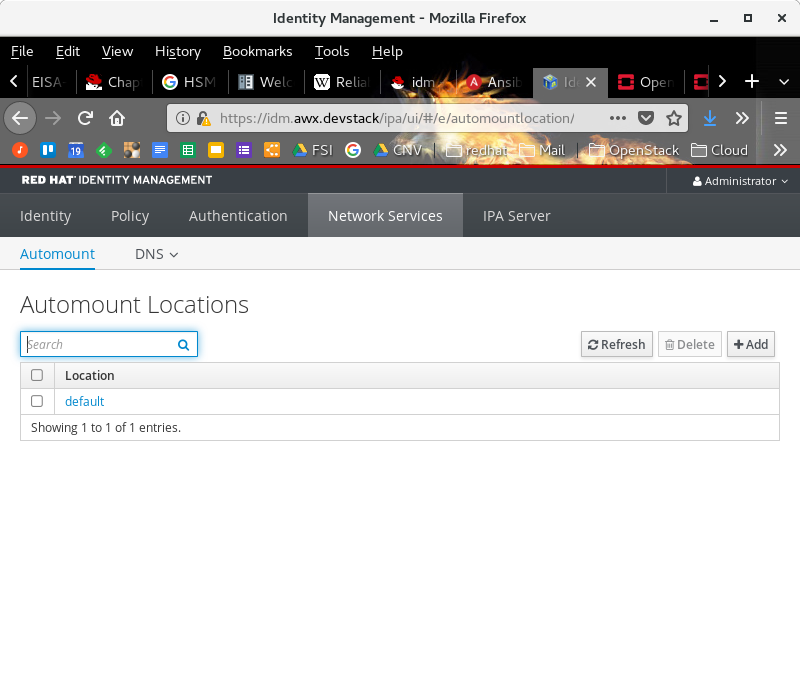 Here is how it looks right now: https://admiyo.fedorapeople.org/ipa/IPA-Netsvc-screenshot.png Note that I had to know to click "Network services" in order to find DNS. DNS is a much more important Use case than Automount, and those two use cases do not really have anything to do with each other. I see DNS management as one of the primary uses of IdM. The integration of naming and certificates is a powerful story. Having DNS as anything less than a top level menu item buries it. It makes DNS seem like an afterthought when it should be a major driving factor. Automount and DNS have nothing to do with each other. Automount is an end user type workflow. It seems almost like it should be near the user/host side of things. It really is not a network service, so much as an autoprovisioning tool. We can easily move DNS up one level, and leave Automount in "network services" or, even better, rename it to "Automount" without confusing users. Yeah, Automount does not deserve its own top level menu item, but it is kindof a homeless waif right now. Its not like we are running out of space on the menu.